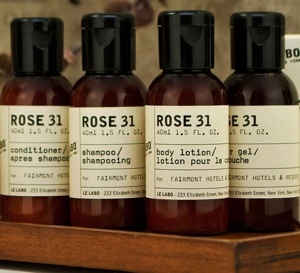 Le Labo Rose 31 Body Lotion – A paraben-free moisturizer and part of Fairmont’s in-room amenity program—it smells luxurious. Cosmaddict had a chance to sample the lavish Le Labo line at the Fairmont Pacific Rim, here. YSL Touche Éclat – Just a touch of this magic brightener under your eyes makes you look wide awake at any hour of the day (or night!). Kerstin Florian Rehydrating Neroli Water – Spritz this uber refreshing spray on your face to hydrate during those inevitably dry flights. Clarins Beauty Flash Balm – A secret weapon that instantly gives the appearance of a good night’s rest, especially when you’ve just endured a grueling long-haul flight. Kiehl’s Lip Balm #1 – Swipe this cult-favorite, vitamin-filled balm across your lips before the plane lands and you’ll be ready to conquer your destination. Click here to read the complete list and prices.